In the Canadian Press article that detailed some of my concerns with Health Check, Terry Dean chose to attack me and reported that my focus and my clinic's focus is, "very much on diet". Of course, that's not even remotely true given that my office's staff includes physicians, registered dietitians, personal fitness trainers (with on-site facilities) and a clinical psychologist and that we actually don't have any particular diet that we espouse, nor any food that we forbid. We do however, teach our patients a great deal about nutrition. I think it's quite telling that rather than respond to my concerns the Heart and Stroke Foundation chose to question the messenger. Telling, but not particularly surprising, given that their recommendations are quite indefensible as evidenced by their efforts to defend them last night on CBC's investigative journalism program Marketplace. "is more of a comprehensive view that it's a public health model. It's not a sodium reduction problem, it's not a diet program, it's not a fat reduction program. Our program is based on the overall diet and general healthy eating recommendations." Two or three whole nutrients. You don't say. So the question I've got for you today - do you think that a "comprehensive" approach to nutrition would only involve looking at 2-3 nutrients? So does Terry Dean really think that there are only 9 things worth considering when evaluating the nutritional value of a food? Nope, not if he agrees with his Health Check program he doesn't, because if he agrees with his Health Check criteria, he believes that there in fact are not 9 things worth evaluating per food item, he believe that there are only 3 or 4 things worth considering. If he believes in the "comprehensive" approach of Health Check he would therefore also believe that foods should be considered in if, then rule form whereby for example if a slice of bread has less than 480mg of sodium, is a source of fibre, and is low in fat and trans fat it's good with the Health Check folks irregardless of whether or not the grain is refined or how much sugar might have been added. Oh, and they apply all 25 criteria to every single food they rate. Yup Terry, ensuring every food has "2 or 3 nutrients" is super comprehensive. Great job. 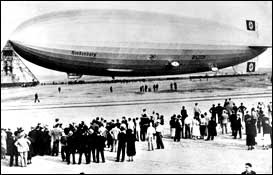 You know the Hindenburg looked great from afar as well.